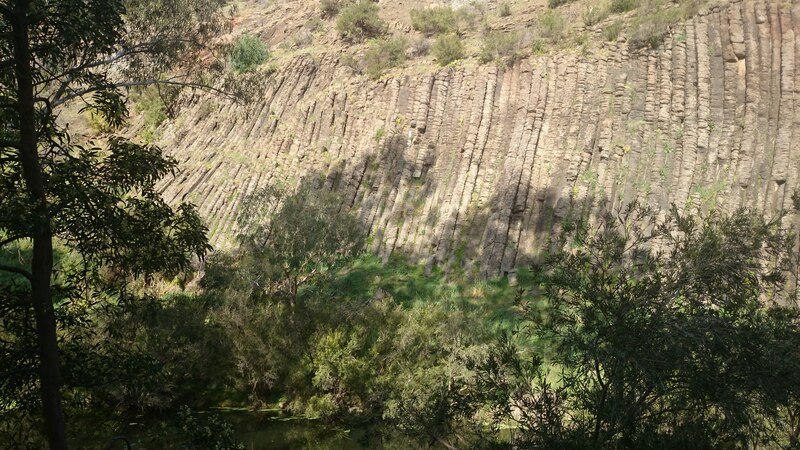 Organ Pipes National Park is a small haven positioned between the Melbourne Airport and Calder Highway. It is named after its key feature, a rock formation caused the cooling and cracking of molten lava over a million years ago, which now gives the appearance of a giant organ (the musical instrument that is). It has all your picnic facilities, tables, chairs and BBQs (BYO gas) and all overlooking pipes. It is a great place to walk and with only one path to follow, very hard to get lost. 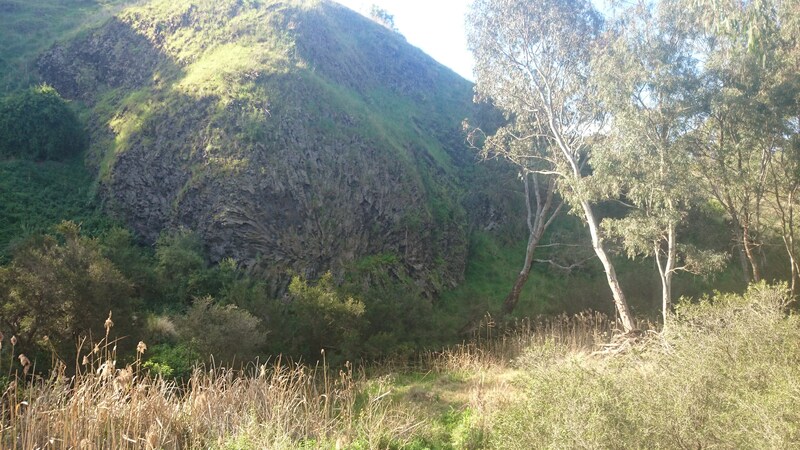 Any complaints about the steep downhill walk to begin with, will be displaced when you realise the valley blocks out all noise from the busy Calder Highway (complaints about the uphill climb to end the day are probably fair enough). There are essentially four main points to walk to – no more than a 10-15 minute walk away from the visitor centre. The Pipes are the headliner, Rosetta Rock (also formed through lava formations) the support act and at either end of the paths, you are presented with delightful spots to sit on the rocks, watch the water stream by and listen to the frogs singing, albeit a little out of tune. Other animals you are a good chance of encountering include the Blue Wrens, Blue Tongue Lizards and the ‘not in any way blue’ Cockatoos. If you are lucky, like I was when I last visited, you may run into the endangered Striped Legless Lizard. This is a great spot to have up your sleeve, for that impromptu picnic or unplanned bush walk, when a quick turnaround time is needed and traveling far away not an option.